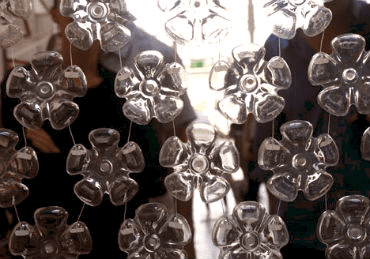 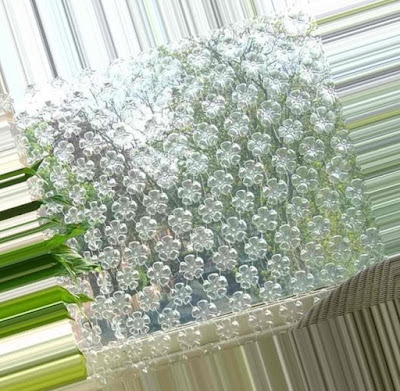 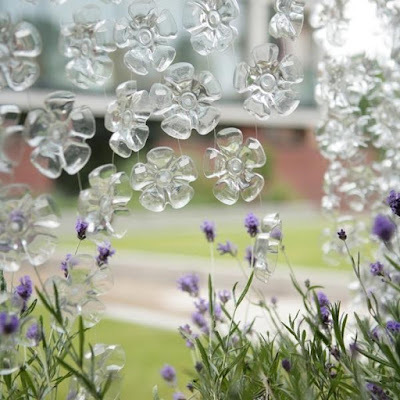 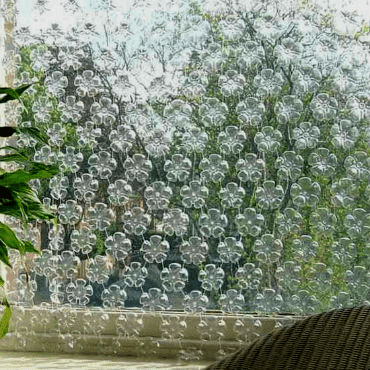 Curtains made of plastic bottles will visually resemble large, floating, transparent color, with shimmering glitter falling sun. 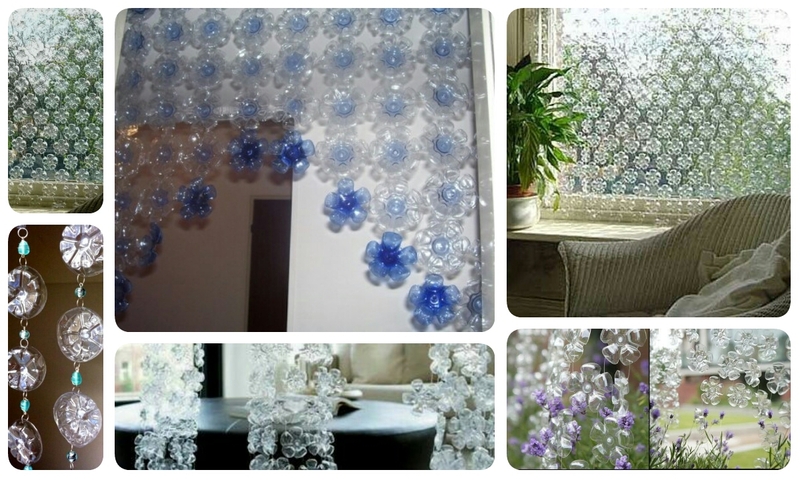 Perhaps many will say, “Oh, that’s that, and those curtains I just do not need!” But designer Michelle Brand, invent such curtains, thinks differently, because thus she performed for the secondary use of the objects surrounding us.And for the idea, Michelle won a lot of awards from environmentalists, and perhaps soon, it will come up as effectively you can apply the rest of the bottle, not just bed plate! 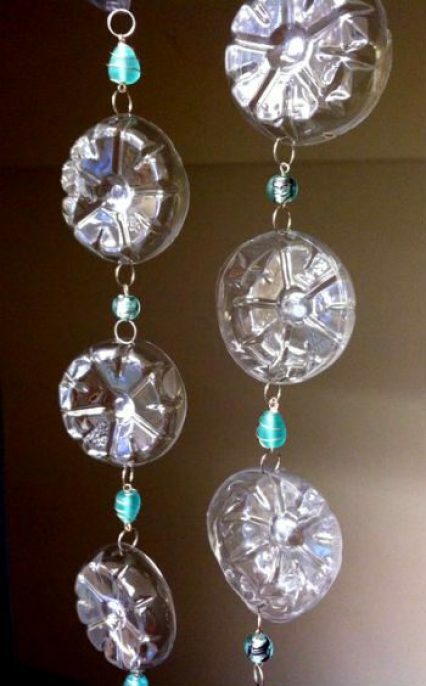 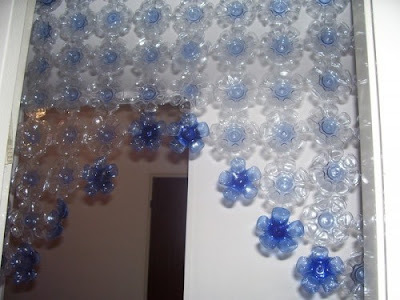 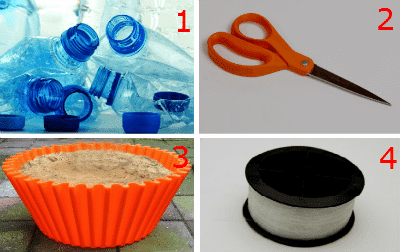 How to make curtains from plastic bottles. According to the above scheme, prepare the necessary number of “flower”, which are then strung on twine. Punctures in the bottom of a better make an awl. 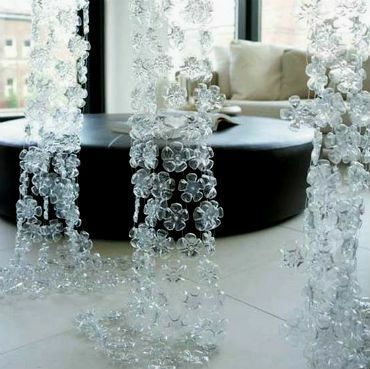 Connect “floral bottoms” can be strung on the line by the type of beads or create whole cloth by making punctures in different parts , in which thread the fishing line. 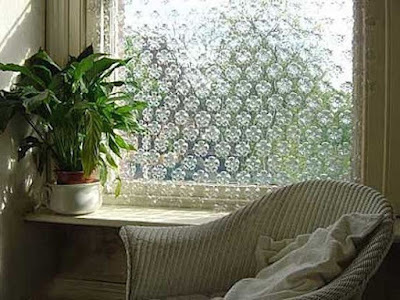 Incidentally, these curtains, it can be supplemented by large coloured beads or ribbons of burlap. Curtains made of beads can be found here , and the curtains from burlap here .